While the Ebola outbreak in West Africa has officially ended, isolated cases have appeared in Sierra Leone and Guinea earlier this year, prompting worries that the virus will likely have a constant presence in the region. A new study brings up some additional concerns: the virus might lie dormant in survivors longer than expected. Scientists have known for a while that the Ebola virus can persist in survivors’ eyes and sperm, even after they’re recovered. Writing in the journal Science Advances, a team of scientists now believe that in some survivors, the virus can persist, reintroducing the virus to a once-uninfected region. The scientists examined several flareups of the disease in 2015, and after examining the genetics of that particular strain of the virus, found that it wasn’t introduced by a non-human reservoir: it came from another human. Although larger in scale, our genetic analysis has indicated that the Needowein flare-up also represents the reemergence of a Liberian EBOV transmission chain. Given the ongoing surveillance in Liberia during this period and the absence of an EVD case in Liberia for 3 months before this flare-up, this finding indicates that the Needowein flare-up originated from a persistently infected source. It seems that Ebola is very good at remaining in the body after the victim has recovered, and can be transmitted through sexual contact. While doctors have known that the virus can linger, it appears to do so much longer than originally thought. This represents a problem for West Africa, because it means that remnants of the original outbreak are likely still out in the public. While there is still an intense focus on the region for signs of any reemergence of the virus, it means that there’s additional work to be done in order to continue to monitor and protect the region. And that work is both difficult and costly. 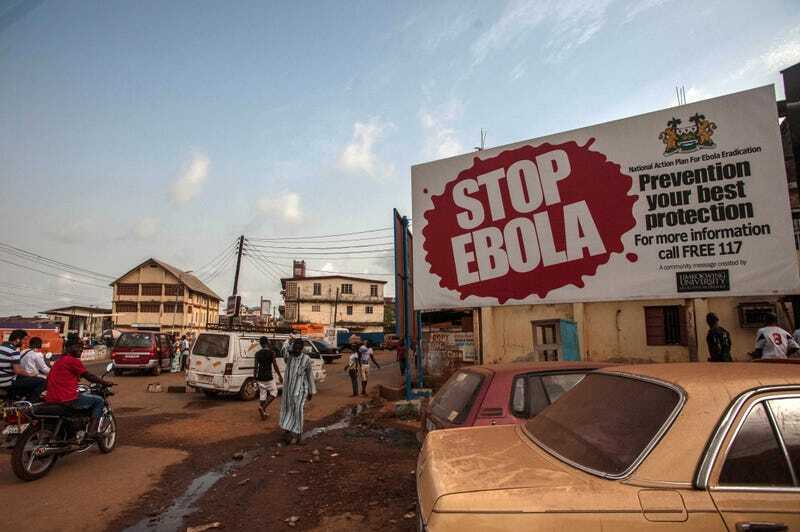 Additionally, it also means that ongoing education and media campaigns should continue in West Africa, so that the virus can be identified at its onset with an infected patient, rather than a body.